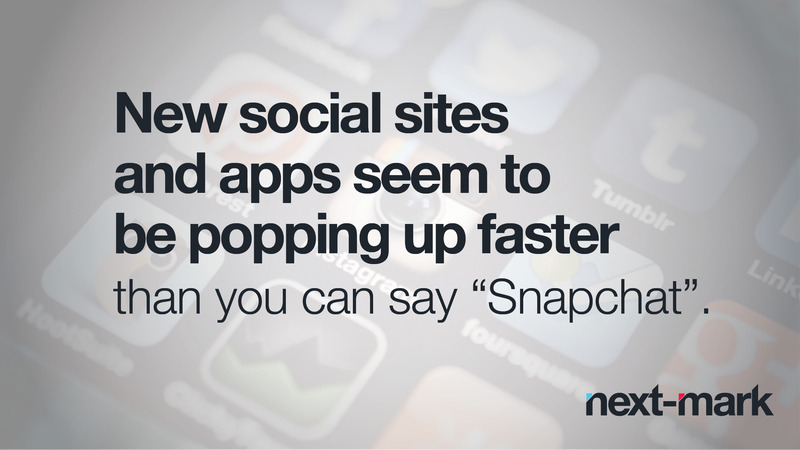 To think about how much social media has changed over the past years is almost mind-boggling. Many of us barely remember what life was like before social media blew up; it has become such an integral part of our everyday lives that we already have reached the point where we take for granted how much we rely on it. At the end of 2015, we talked about what trends to expect in 2016, and just between then and now, things have changed exponentially. In the midst of this change there has been a slew of emerging social platforms that are striving to make their mark in the digital social space. New social sites and apps seem to be popping up faster than you can say “Snapchat.” So among all of the new entries to the field how do we know which ones will take off to become the next Facebook or Instagram? The truth is we don’t know; only time will tell. However, we can make a few predictions based on the direction the social space is currently headed. The following are our predictions for five of the next generation of social platforms. To say this live video streaming app has taken off would be an understatement. Within six months of its March 2015 launch, it reached more than 10 million users and continues to grow in leaps and bounds daily. Such live video streaming seems to be where social media is headed. In the commercial world, it allows brands to come across as both transparent and authentic, unafraid to share their true identity. Based in the United Kingdom, this app promises to be the next-generation networking and messaging platform. Just 10 weeks after its launch, Yubl became the most downloaded app in the UK, surpassing Skype, Pinterest, LinkedIn and Periscope. So what makes Yubl different from all the other social messaging apps out there? One word: customization. It gives users a blank canvas to create something entirely from scratch; you can choose a background color, throw in photos and videos from your camera roll move them around, plaster on stickers and change the fonts. This has not yet launched in the United States, but once it does, it’s going to make an impact! Slack is yet another social messaging platform. It is focused on team-centric messaging and group chat outlets and allows for integration with a multitude of other services and programs. With the evolution of social messaging platforms making the shift from single thread messaging groups, to essentially mini social networks, if Slack continues to evolve and shift with the tastes of social consumers, it will surely endure! Remember when we said live video streaming is the next era of social interaction? Blab is a video messaging platform on which four people can video chat simultaneously as an audience watches, comments and can even instantly switch places with one of the four video chatters. Users can host their own talk shows and debates or simply hang out with friends. As new social platforms continue to emerge and make an impact, social marketing strategies will also be required to constantly be reinvented to incorporate those relevant to an organizations needs. At Next-Mark we are proud of our unique ability to evolve and reinvent strategies in order to provide our clients with best solutions to take their businesses to the next level. Have another one to add to the list or a thought on any of these? Leave us a comment!